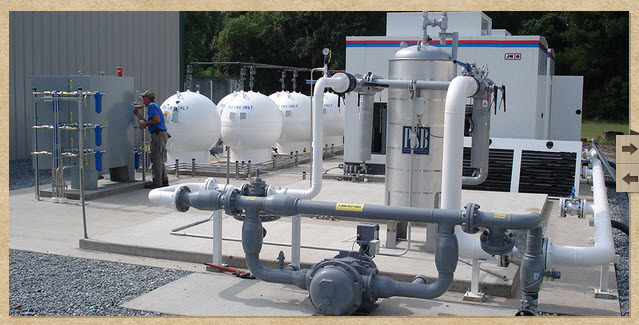 The use of natural gas in the form of CNG (compressed natural gas) is becoming an accepted alternative to petroleum; i.e. gasoline. In 2011, the use of natural gas as a fuel for automobiles and trucks rose 7.1 % per year with a remarkable increase of thirty-eight percent (38%) since 2006. That use has more than doubled in the past ten years to almost thirty-nine (38.85) million cubic feet in 2011. It is estimated that by 2017, approximately eight percent (8%) of new North American Class 6-8 commercial vehicles will be natural-gas powered and annual sales will exceed 29,500 units. This estimate was made by Frost & Sullivan. Let’s get a better idea as to the various truck classifications. The chart below will provide information relative to the classifications as defined by the Department of Transportation (DOT). 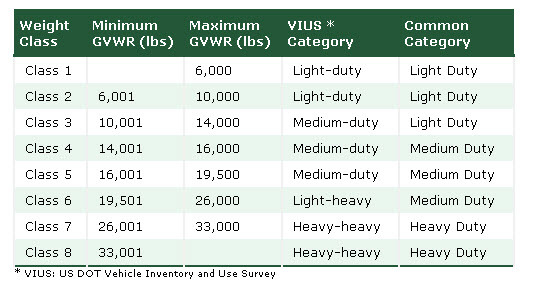 As you can see, the classifications basically revolve around the gross weight of the vehicle. Both classifications indicate heavy-duty vehicles. Proven and Reliable – More than 11 million NGVs are in use worldwide, with about 110,000 in the U.S. Some tune-ups for NGVs have been extended by up to 50,000 miles. Some oil changes have been extended by up to 25,000 miles. Pipes and mufflers have lasted longer in NGVs because the natural gas does not react with the metals. Gasoline gallon equivalent (GGE) or gasoline-equivalent gallon (GEG) is the amount of alternative fuel it takes to equal the energy content of one liquid gallon of gasoline. GGE allows consumers to compare the energy content of competing fuels against a commonly known fuel—gasoline. GGE also compares gasoline to fuels sold as a gas (Natural Gas, Propane, and Hydrogen) and electricity. Domestic Fuel – Natural gas supplies are abundant domestically, reducing our dependence on foreign oil and the impact of weather-related shortages. Eco-Conscious – CNG vehicles are much cleaner than traditional vehicles, producing up to 90% lower emissions than gasoline or diesel. Natural gas is the cleanest burning fossil fuel today. CNG vehicles produce the fewest emissions of all vehicle fuel types and emissions contain significantly less pollutants than gasoline. Dedicated CNG vehicles release little or no emissions during fueling. State Incentives– Some states offer tax credits for each vehicle converted to run on natural gas. Some states offer tax credits for purchasing a vehicles running on CNG. Other states offer car pool lanes if the vehicle runs on CNG. In order for a “Clean Fuel” vehicle to travel in the Express Lanes it must display a “Clean Fuel” sticker/decal which costs $10. Also, in several states CNG vehicles qualify for high occupancy vehicle (HOV) lane access, where applicable. 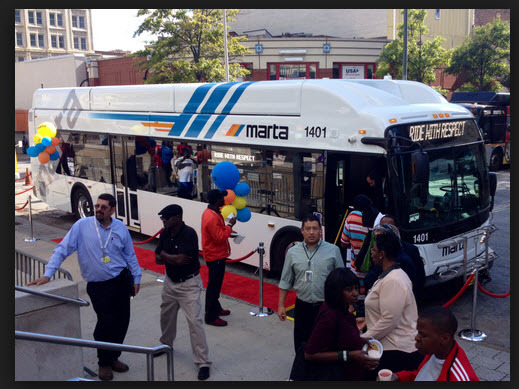 The following news release was issued by the Atlanta Journal and Constitution in July of 2013. ATLANTA – July 23, 2013 – The first compressed natural gas (CNG) fueling station developed under the Atlanta Gas Light (AGL) CNG Program is now open in Valdosta, GA. Approved by the Georgia Public Service Commission (PSC) in 2012, the program is designed to expand public access to the CNG fueling infrastructure throughout the state and enhance Georgia’s role in the emerging CNG market in the southeastern U.S. The Langdale Fuel Company of Valdosta was chosen as the recipient of funding from Atlanta Gas Light for the installation. The station itself looks very much like a “standard” filling station we are use to in dispensing gasoline. You drive up, put the hose in the filler, then start pumping. 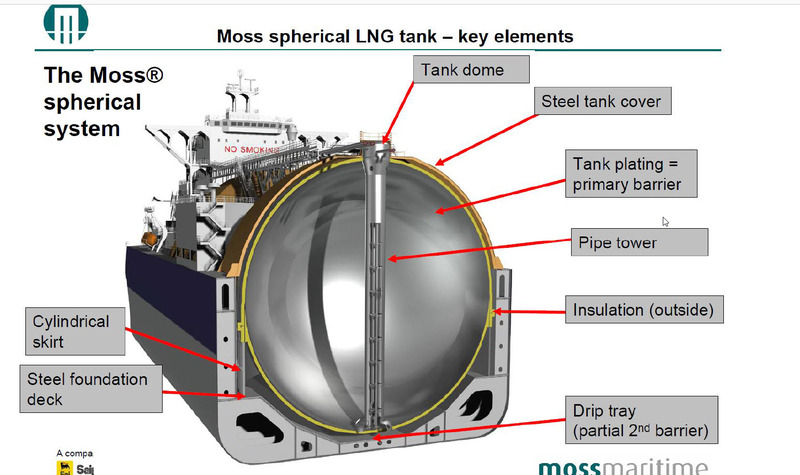 The complexities of receiving and compressing natural gas are demonstrated by the graphic below. As you can see, there is significant technology involved with a typical compression “event”. 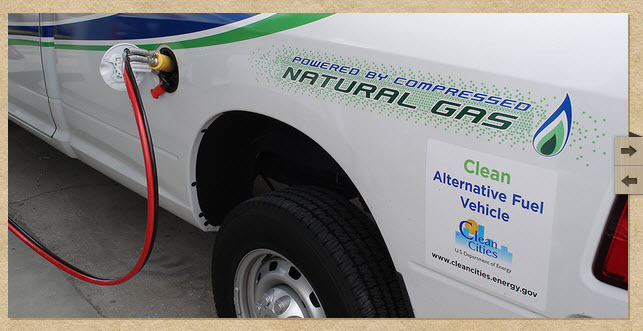 CNG is definitely a viable alternative fuel for consideration AND there are several companies in the mark place today that can retrofit an automobile engine with the necessary equipment successfully run CNG as a primary fuel. As always, I welcome your comments.